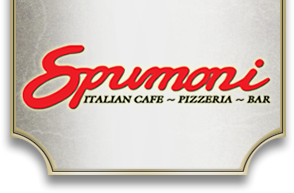 Spumoni is Newbury Park's premier Italian Cafe, Pizzeria & Bar. Choose from an array of classic Italian cusine cooked to perfection. Dine-In or order for take-out and delivery! Spumoni is a Zagat Rated Top 1,000 restaurant.